Everest School of Music Bray and Rathnew, Co. Wicklow. Music Lessons. All courses are now enrolling for our current term. To book your place now please call us on 01-2861933, a deposit will be required to secure your place. The Music School runs Mondays, Tuesdays, Wednesdays, Thursdays, & Saturdays. 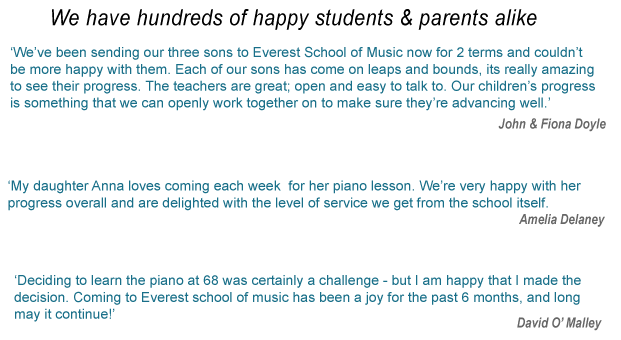 With two branches - one in Bray and one in Rathnew, Co. Wicklow - we pride ourselves on providing quality, excellent value and an unbeatable service at our dedicated School of Music. We specialise in teaching adults and children alike, in a fun, positive and non-pressured environment. We also offer structured tuition in preparation for graded exams, or state exams. Our teachers are all passionate about education and are fully supportive of each individual students needs. All of our lessons are tailored on a student by student basis. 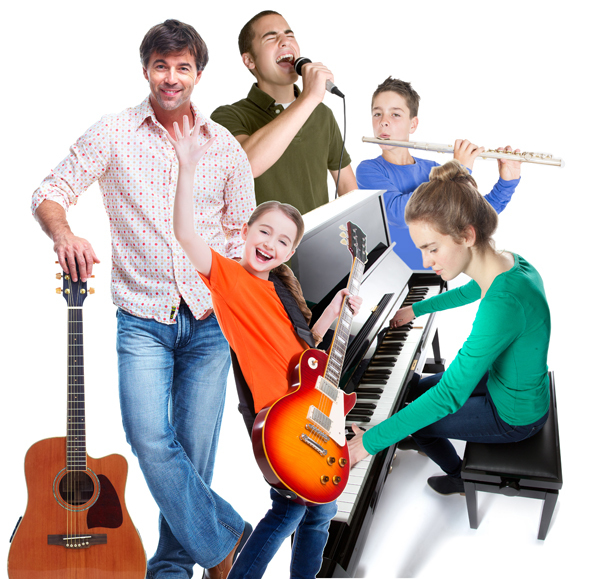 The school has 8 dedicated music rooms, custom built with lessons in mind. All lessons are held on a one to one private basis. We also have a large retail shop, providing any instruments or equipment, plus an expert customer service to help you make the right choice for any needs you may have during your lessons. The school has 4 studio music rooms, custom built with lessons in mind. Currently, we offer one to one instrumental tuition, with planned expansion in the near future. All of our teachers are fully qualified, Garda vetted and hold certification in child protection. Guitar, Banjo, Bass, Drums, Piano, Cajon, Ukulele, Mandolin, Vocal, Violin and Saxophone. We provide tuition for a wide range of recognised examination bodies including RIAM, ABRSM, Trinity Guildhall, RockSchool, RGT. We offer focused tuition for Leaving & Junior Certificate practical and theory examinations. *Depending on your chosen day for lessons. See 'Lesson Fees & Details' for more. 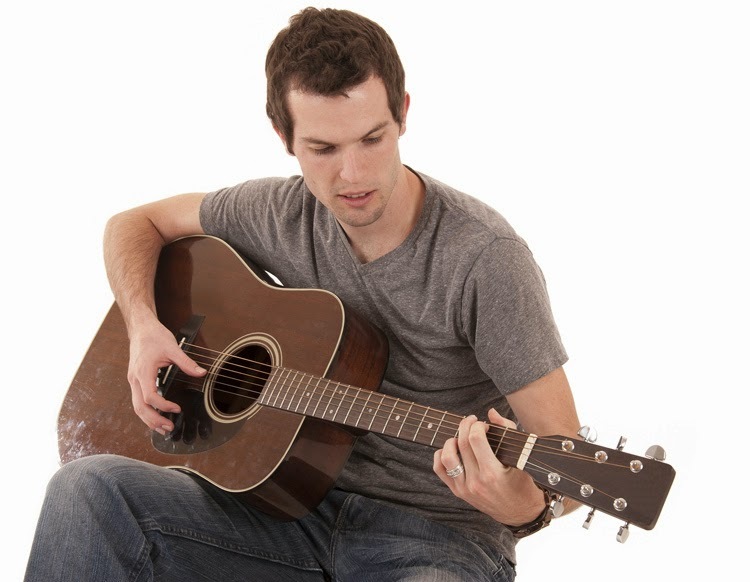 We also offer introductory one-off trial lessons for anyone who would like to try their hand at an instrument. These are offered at €25 per lesson. These lessons can be bought on a pay as you go basis (time slots permitting) - and are a great way to get a feel for a instrument, with no commitment necessary. Copyright Everest Music 2017/2018. Powered by Blogger.